No matter where you work at Sydney Metro Airports, you will find people that are passionate about what we do, the services we provide our customers, our community, our values and our people. At Sydney Metro Airports our people are our business and we want you to “be yourself – at your best”. We work in a tough industry and to be competitive we need people to be at their best. We understand that people are individuals first, so we provide the right support, challenge and stretch to help them be a success. We take pride in the work we do and employ a diverse range of people with specialist and unique skills. Driving performance and standards is the key to our success. Diversity in our business is encouraged and recognised by our people as a way of delivering better outcomes to our customers. We welcome people who have different experiences and backgrounds, as they bring valuable perspectives and insights. Here’s some of what’s on offer with a career at Sydney Metro Airports and what we expect from our people! Sydney Metro Airports vision is what we aspire to achieve. This is the starting point for every business plan, master plan and our objectives. “Working together to develop and improve Sydney Metro Airports, in order to provide excellence in aviation services, increased growth and revenue. While continuing to cement our outstanding reputation in both the aviation industry and the Western Sydney and Greater Sydney communities”. Looking for that perfect team fit? Be true to yourself and have your innovation and integrity rewarded with opportunities to grow your career. This team’s main focus is to ensure that the aerodromes remain, safe, serviceable and available to the aviation community every day of the year. Their duties range from maintenance of the aerodrome through to all the regulatory requirements are met. 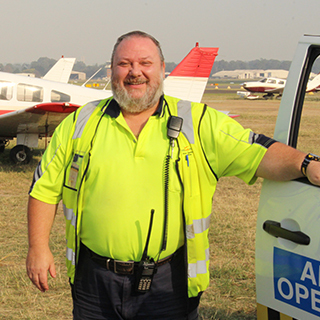 I have worked with Sydney Metro Airports with 16 years as an Aerodrome Reporting Officer and this role is a real think-on-your-feet type of role. We work shift work and our team works 365 days a year, rain, hail or shine to make sure that all Airside areas of the Airport are safe and operational. We monitor and protect the controlled airspace around the Airport. My role gives me variety each day and covers everything from stopping flying model aircrafts through to being the first respondent at an incident within the airport. Whether you are passionate about Finance, Legal, Safety or Human Resources we’re looking for all kinds of professionals who can make things happen for our customers. 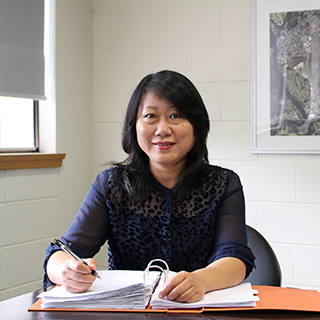 I joined Sydney Metro Airports as an Assistant Accountant 10 years ago in the Finance team. During my career I have worked across financial, tax and management accounting to further develop my skills. We’ve grown from a traditional airport property management team to one that understand that our customers are the heart and soul of our business. Are you passionate about the customer and property management? Come and create your future with Sydney Metro Airports. If you share our values and feel you can make a difference, Sydney Metro Airports provides real opportunities for passionate people to make their mark. Use this website to find out more about how we work and to review the job opportunities we have available.